Look no further for pugalicious personality! 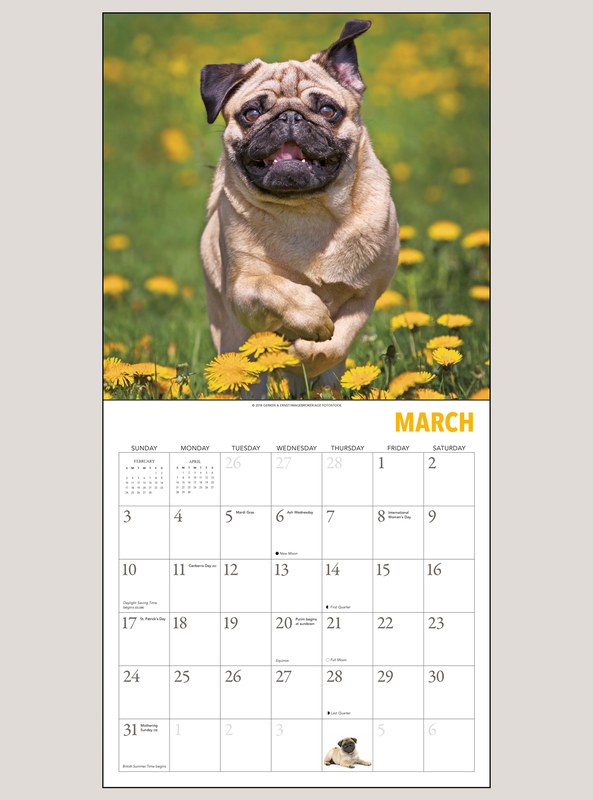 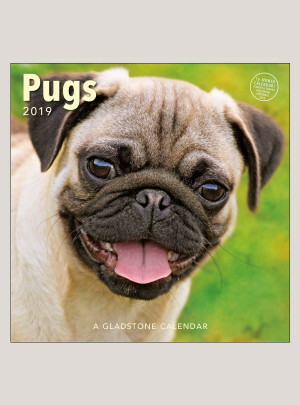 The Gladstone Pugs calendar features the breed's winsome individuality in every colorful photograph—plus frisky pug pups cavorting in and around the grids! 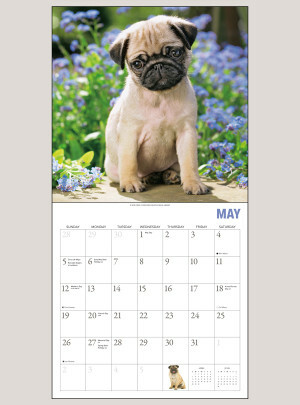 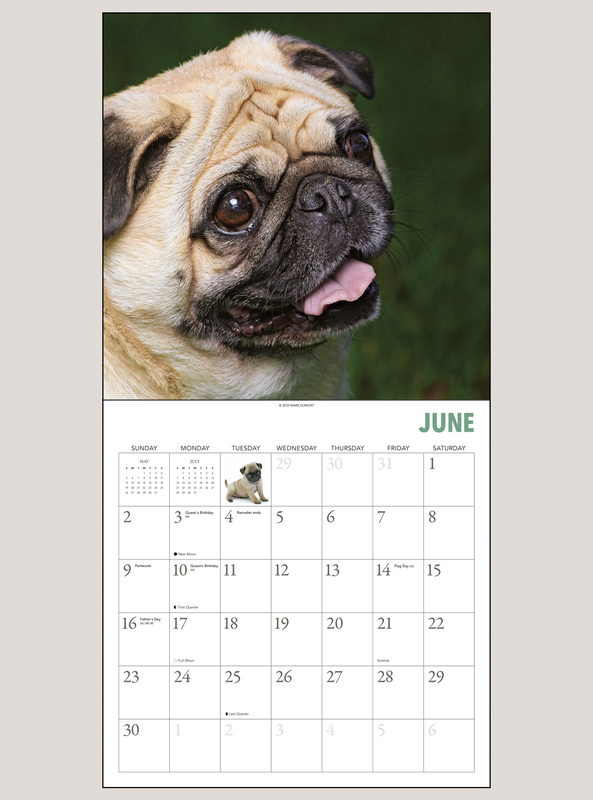 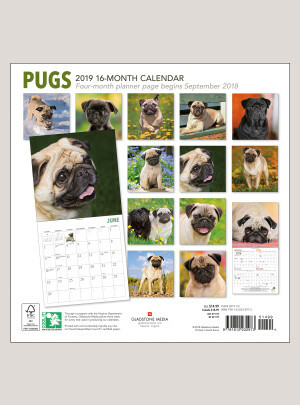 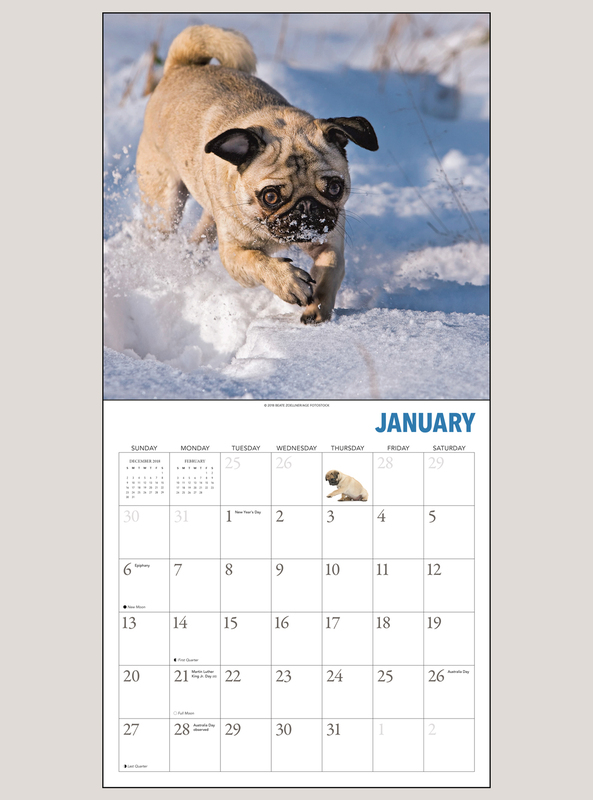 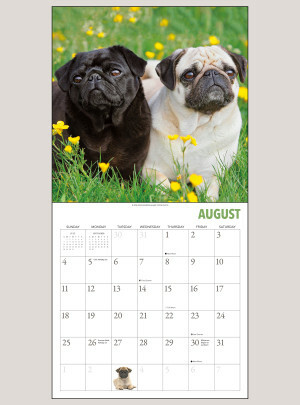 This calendar is perfect for animal lovers, dog lovers, and people with a special pug in their life.